If you are preparing for a sporting event you need an experienced and skilled personal trainer by your side. This is not only to figure out how you are going to train, but also to motivate, encourage and prepare you for the event at hand. A sporting event means you need to learn to be healthy and strong. It is a daunting task and one that you may not be able to go about alone unless professional help is sought. A personal trainer has the expertise to create a specific training plan to cater to your physical competency and help you workout for the event. An individualized plan for a sporting event is unlike a regular training program. You may not know what activities and exercise routines to incorporate, which is why it is imperative you workout with a home personal trainer. You will need to strategize for the event and build overall physical fitness, improve stamina and strength. At the same time, a personal trainer will offer a nutritional plan to compliment the exercise program. Nutrition is usually integrated to a regular exercise routine, in the case of a sporting event, it is of greater value that you know what to eat and how to maintain a healthy and balanced diet. 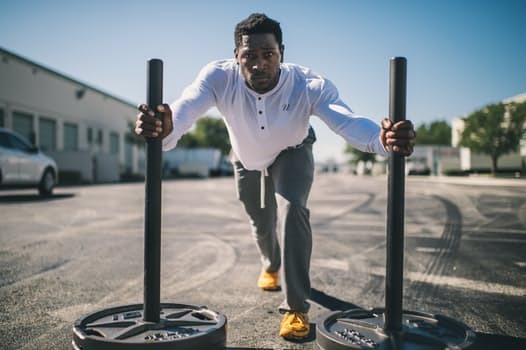 It is no secret that professional athletes and even amateurs work with a personal trainer to prepare for upcoming events and seasons. It is this training and preparation that significantly impacts the athlete’s performance. It may be to run faster or improve your golf swing, a home personal trainer will offer invaluable information and guidance on how to prepare and become the best version of yourself. It is not only about training for an event, it is also about getting into shape and staying in shape. Whether training for an event as an amateur or professional, you know you need to maintain or improve your shape. You are expected to stay healthy and fit and you will need guidance along the way. This is where a personal trainer plays a significant role. They prepare you for the event but also ensure your overall physical fitness and emotional wellbeing is taken care of as well. Personal trainers are highly qualified and will create an exercise program to improve cardiovascular strength, muscle strength, endurance, coordination, flexibility and balance. It will be a monitored program that is evaluated regularly to ensure you are on the right track to achieving your goal to compete in a structured and disciplined sporting environment.